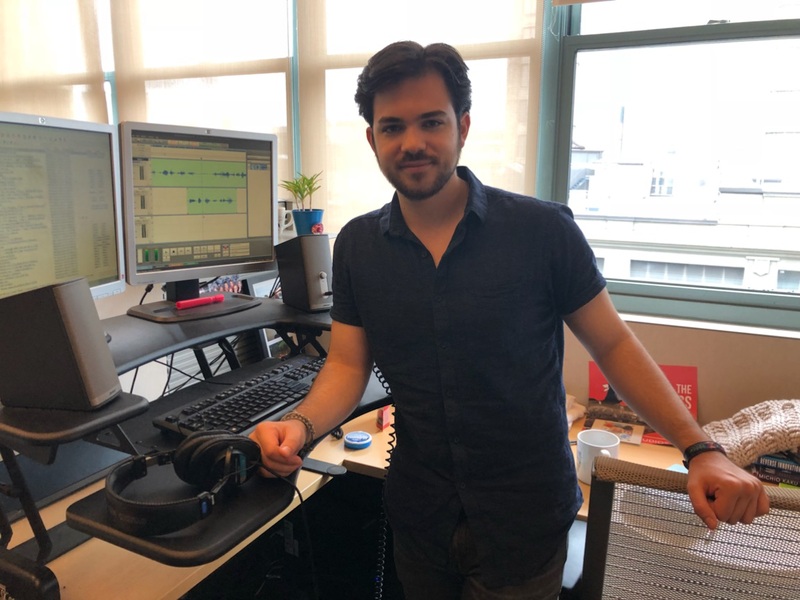 Photo caption: José Olivares edits audio for the daily news at WNYC’s The Takeover. As Reynolds School of Journalism alumnus José Olivares prepared to become a bilingual broadcast journalist, reading journalism, non-fiction and history fostered his unique perspective of the world. It also helped him understand how other journalists cover news. Born in Mexico City and raised in Nevada, Olivares is a 2017 graduate of University of Nevada, Reno, where he dual-majored in journalism and sociology. At the University, he participated in Our Town Reno through the Reynolds Media Lab, the National Public Radio (NPR) Next Generation Radio Nevada Bootcamp and Noticiero Móvil, gaining experience print, broadcast, digital and bilingual journalism. After graduation, he became a digital news desk intern for NPR in Washington, D.C., and in January 2018, he moved to New York City to complete an editorial fellowship at The Intercept, an online investigative news publication. While at The Intercept, he investigated many stories, including the Mexico and U.S. national security relationship and the questionable human rights track records. He also recently published a freelance piece for The Intercept about a U.S. Immigration and Customs Enforcement detainee with schizophrenia who died in solitary confinement. The Takeaway provides daily radio and digital news, covering national current events. 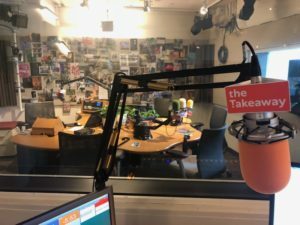 This past June, Olivares began working as a bilingual journalist and associate producer for WNYC’s The Takeaway, a daily national radio and online news program. In his current job, Olivares helps prepare the audio and digital content for the Takeaway’s daily news show. His job entails pitching stories, scheduling sources to be interviewed, conducting pre-interviews and writing scripts. Although he is not assigned to a beat, Olivares tends to report on certain topics. “I’ve been focusing on more Latin American coverage, immigration stories, but also the past couple weeks, I’ve been focusing on policing,” Olivares said. He shared two segments he has produced since working at The Takeaway: one segment that looked at profits for migrant detention and another segment that looked at the effects of family separation, with an exclusive interview with a migrant father who was separated back in 2015. Olivares’s bilingual journalism abilities are put to good use as he produces segments and interview sources. “With the Spanish, it has been incredibly helpful because I’ve been able to interview folks who have been dealing with family separation,” he said, adding that he’s also interviewed people from Mexico about the Mexican elections. For those students looking to follow in his footsteps, Olivares recommended that students participate in internships and fellowships during college. “Try to do as many internships as you possibly can. Especially if you are interested in news, try to set up a national one as well just to try and get ahead of the game and get experience so when you do graduate, you’re not starting out on your first internship or your first fellowship,” he said. He also advised working to pitch and report on quality stories before leaving the University. JFIT: Where are they now?